Generations to come will look back on the Krispy Kreme fiasco of 2018 as a test, a means of preparing us for something even bigger. But could anything be better than American doughnuts? What about this? McDonald's McDelivery launches in Ireland. Today. Are we ready for it? Mentally, yes. Emotionally, definitely not. 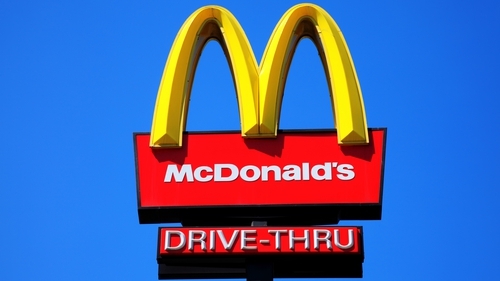 From today, November 8, you can order McDonald's entire menu directly to your door. The service is a partnership with a UberEATS app allowing the user to order breakfast, lunch and dinner from 8am – midnight, seven days a week. Long the dream of the hungry Irish masses, McDelivery has actually existed since 1993 and operates in many countries including the UK, Hong Kong, Russia and much of Europe. Many countries even have specially designed delivery scooters, but no word as of yet whether we'll see red and gold mopeds zipping around the city. Sarah Carter is McDonald's director of operations for Ireland and Northern Ireland. She said: "We are delighted to be introducing the McDelivery service to Ireland, after months of planning and lots of questions from McDonald's lovers - we can finally reveal that the time has come, offering yet another level of convenience to our loyal customers." To set up a McDelivery you have to download the UberEATS app at www.ubereats.com, set your delivery location, choose the nearest McDonald's location to you, place your order either for right away or a later time - with any number of customisations or personalisations - and track your delivery. No more waiting in line, no more queuing up and, please God, no honking of car horns in angry anticipation. Just like any food app, the order is placed on whichever payment card you add to your account. For the first phase of the service rolls out across Dublin, Galway and Cork and is available to anyone with a phone, a McDonald's location one and half miles away - and a rumbling tummy.